This page or post may contain affiliate links. 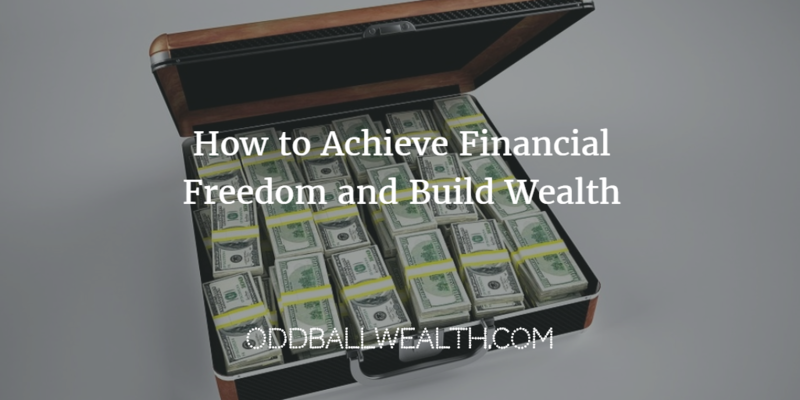 In this post you’ll learn how to achieve financial freedom and build wealth. When you’ve finished reading, you’ll understand the four categories income is generated from: employee, self-employed, investing, and business. This comes from the teachings in Robert Kioyski’s book Rich Dad’s Cashflow Quadrant: Rich Dad’s Guide to Financial Freedom. Also, after reading you’ll know how to manage income and spending, be able to create a budget and so much more! Implement these financial principles into your life to become financially independent. Enjoy! How do you achieve financial Freedom and build wealth? What does it take to become financially Independent and have enough financial wealth to never worry about working a job again? It’s not a college degree or education. Nope, it’s not a rich uncle either, although that would be nice! So, what exactly does it take to be financially free? You don’t have to be a rocket scientist to figure out how to become financially independent. It’s also certainly not something you learn in school (although it’s definitely something they should teach in school!). If you want to be financially free, then you need to have determination, dedication, a dream, the ability to learn, and be able to utilize any and all assets presented in front of you. To give you a better understanding of how to become financially independent, I’ll use a tested model called the CASHFLOW Quadrant, which Robert Kioyski explains in his book Rich Dad Poor Dad: Rich Dad’s Cashflow Quadrant: Rich Dad’s Guide to Financial Freedom. The first two quadrants’, “E” and “S”, are the starting points for most people. But, the ultimate goal is to eventually move into the last two quadrants, “B” and “I”. The first two quadrants are good starting points, but they should only be temporary. To reach financial independence, you gradually need to move into the “B” and “I” quadrants. Robert Kioyski’s CASHFLOW Quadrant displays four different ways in which money can be generated. And, which quadrant you generate money from greatly depends on each individual person, their mindset, beliefs, goals, skills, and what they’ve been taught. It doesn’t really matter what section of the CASHFLOW quadrant you generate income from: Money is money. Although, how that money is earned and how much you earn is what makes each quadrant different. Your chances for becoming financially independent and the time it take’s you to reach financial freedom do greatly depend upon which quadrant(s) you generate income from. The easiest way to become financially free is simply by staying focused and working your way through the four quadrants. Ironically, staying focused is also the hardest part for most people. Usually, this is because they set unrealistic goals for themselves. Only to get frustrated and give up because they feel overwhelmed or stressed out. To keep yourself focused and on course, the first thing you want to do is set realistic goals for yourself. The second thing is to make small short-term goals that can easily be completed and keep you motivated. This will make the process of attaining financial freedom easier and it won’t seem so overwhelming or unattainable. Once you complete one small task or goal, you’ll feel a sense of success and accomplishment. You’ll also be motivated to move onto the next small goal, then on to the next small goal or task, and so on. Then before you know it, you will have reached your main goal of becoming financially independent! I’ve said this many times before but I’ll say it again: It’s important to spend less than what you earn, make a budget, and to always pay yourself first. Sounds like common sense right? Unfortunately, not for most people. Spending less than what you earn is a basic concept, but for many American’s, a hard one to grip. It might mean buying a used vehicle instead of a new vehicle and avoiding taking on a large monthly car payment. By purchasing a used vehicle that’s a few years old instead of a brand new car, you can end up saving thousands of dollars. Taking out a loan or using a credit card to purchase a new television. Using credit cards to pay for entertainment. Going into debt to take a trip. Making a budget and sticking to it is actually very easy, read this guide on how to create a budget by clicking here, but for most people it’s too mentally or psychologically challenging for them. Like I said above about goal setting, the same goes for creating a budget. Keep your budget realistic, if you don’t, you’re likely to become overwhelmed and frustrated. In which case, you’ll quickly give up and never want to make a budget again. As you’ll begin to associate mental stress and frustration with budgeting. A big part of budgeting is truly psychological. To be successful and to follow through on your budget, keep it realistic. At the beginning of each month write out your budget. For the first couple of months, I wouldn’t recommend cutting out any purchases or even making too drastic of spending cuts. Instead, at the beginning of each month for the first couple months, simply try cutting back a couple of bucks here and there in certain areas. Then going forward, each month shave of a few more bucks until you start to gain momentum and get more comfortable with a budget. If you’re like me, you’ll eventually find keeping a budget fun! You’ll start to enjoy finding new areas where you can save more money. Creating a budget will also probably be total eye opener for you. Most people are unaware how much money they’re spending on useless and unnecessary things. It’s important to always pay yourself first and get into the habit of doing it. Here’s what I mean when I say “pay yourself first.” When you first receive a paycheck or income from another source, take a portion of it and put it away. Instead going out and buying something as soon as you’re paid, pay yourself a certain percentage of your income every month. To this is difficult for you, have a certain percentage of your income directly deposited into an high-yield online savings account. By doing this, it would be harder for you to access that money and you wouldn’t feel as tempted to spend it. If you’re interested in opening an online savings account, Discover Bank is a great option if not the best. They offer the highest interest-rate yields for a regular savings account. There’s also absolutely no fees associated with Discover’s online savings account, so it doesn’t cost you anything to open and maintain the account. Click here to visit Discover Bank’s secure website to sign-up or learn more about the online savings account. Most people never invest or wait until it’s almost too late in their life to begin. Some people never begin investing because they think investing is too complicating or complex. They worry they’ll lose money instead of make money. Other people wait until they’re of old age to invest. This is because they continue to tell themselves year after year that they still had time and kept putting it off. Until one-day reality hits them, and realize they no longer have time. One important thing to keep in mind, time is not on your side! If you don’t think you have enough money to invest, read this article by clicking the following link: 13 Ways to Invest $100. Investing is only as complicated as you make it out to be. Time is your biggest asset for investing: The younger you start the better. Young people can be more can be more aggressive with investing and take on more risk. Which normally results in higher returns and they have more time to compound those returns. Don’t be afraid of investing and more importantly don’t delay to begin to investing. Whether that means putting a couple bucks from every paycheck into a retirement account like a 401(k) or IRA. Or, even into a self-managed online brokerage account or with a robo-advisor that will do your investing for you and manage your portfolio. I personally started investing early. I opened my first online brokerage account when I was 18-years-old. Starting out I had no idea what I was doing. I also made many investing mistakes starting out. I learned from those mistakes and became more experienced as time went on. You can click on the following link to read the full story on how I became interested in investing. Most employers offer a 401(k) retirement plan as an option to their employees. 401(k)’s are nice because the money is taken directly out for your paycheck and deposited into it. You never see that money and probably won’t miss it. Another nice thing about a 401(k) is many employers will match a certain percentage of your contributions, which is free money. Another type of retirement account is an IRA or Individual Retirement Account. There are two types of IRA’s: Tradition and Roth IRA’s. A Traditional IRA account is when money is deposited into the account before it is taxed. But it’s not tax-free, you’ll have to pay taxes on any withdrawals from it later on. A Roth IRA account is when you deposit “after-tax” dollars into the account. The nice thing about Roth IRA’s is when you begin to make withdrawals at the appropriate age, you won’t have to pay any taxes on the money you made or gains made in that account! With an IRA account, you’ll either have to manage the account on your own, hire a human financial advisor or broker to manage it for you. Another option is an online robotic advisor, which are commonly called “robo-advisors.” A robo-advisor does the same thing as a human financial advisor. Only a robo-advisor is 100-times more affordable and doesn’t charge any high-fees. Robo-advisors have been proven to be much more effective than “human financial advisors” in every aspect, including making investments and managing investing portfolio’s. Rich Dad’s Guide to Investing: What the Rich Invest in, That the Poor and the Middle Class Do Not! Free & Useful Resources You Can Benefit From! CREDIT SESAME – This is the ultimate free personal finance tool and resource! Credit Sesame allows you to track your financial success and gives you unlimited FREE access to you credit score, credit report, credit monitoring, and financial alerts. Credit Sesame also provides you with free personalized loan analysis and recommendations. You’ll also have completely free access to a huge data base of other great financial resources, tips, and tools! You can learn more and join Credit Sesame by clicking here. PERSONAL CAPITAL – Want a tool that will allow you to view all your investments and wealth? Check out Personal Capital! It’s FREE! It’s a free service that’s available to you and allows you to sync all your financial accounts to one place. It also gives you a full picture of your entire financial situation and lets you see what your net worth is at any time. But wait, it gets better! Personal Capital takes it a step further and lets you create budgets, reminds you of any future bills, has a built in 401(k) analyzer, shows the best asset location personalized for you, and much more! You can learn more and join Personal Capital by clicking here. BETTERMENT – Want to begin investing, but don’t want to take the time to learn how or the time to manage your investments? Then Betterment is for you! Betterment is an automated investment service and adviser, that does the work for you, without the high fees. The service picks investments for you based from your personal needs and goals, and completely manages your account for you. It also automatically rebalances your portfolio for you over time and as you age. Open a Betterment account today! There’s no minimum account balance requirements! You can learn more and join Betterment by clicking here. BLUEHOST – Want to start your own blog and make money from it? You can view my article by clicking this link called How to Start a Blog in less than 20 Minutes. This guide will show you step-by-step how to set-up a WordPress blog, get website hosting, and a FREE domain! You can learn more and join Bluehost by clicking here. Become Part of the Ultimate Community! Crush Debt and Build Wealth By Receiving Our Free Monthly Newsletter Now! Tyler started Oddball Wealth towards the end of 2014 after graduating college, as a way to stay relevant in his area of study, stimulate his mind, and to educate and help others. Tyler has worked in the financial services industry, as a financial advisor, helping his clients make wise financial decisions and personalized long-term financial plans. Since graduating college in December of 2014, Tyler has paid off more than $15,000 in student loan debt and counting, his goal is to have all his student loans paid in full by the in of 2016. Tyler is an entrepreneur and an expert in personal finance. Two of his many hobbies include investing and building online businesses. He is also a big advocate of early retirement and an aggressive saver, who utilizes any financial resources and tools available to him to help reach his goals for achieving financial independents. Affiliate links may be used and commission may have been received in this post or page. Please note that Oddball Wealth may have financial relationships with certain merchants mentioned. While all attempts are made to present accurate and correct information, it may not be appropriate for your specific or personal circumstances and information may become outdated. The content and articles on this are from the views of the author(s) and should not be considered financial advice. If you are seeking financial advice, you should meet with a certified financial professional related to your situation. The content on this site such as deals, interest rates, products, and websites can change without notice at any time. © Oddball Wealth, LLC and OddballWealth.com, 2019. Unauthorized use and/or duplication of this material without express and written permission from this site’s author and/or owner is strictly prohibited. Excerpts and links may be used, provided that full and clear credit is given to Oddball Wealth, LLC and OddballWealth.com with appropriate and specific direction to the original content.